What do you get up to? 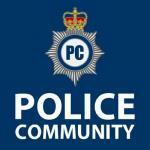 Are you thinking about joining as a Police Cadet? You can post general questions in here about the recruitment process, and get answers and support from others who are going through the process or already serving as Police Cadets.